Mr Richard Teng joined Abu Dhabi Global Market in March 2015 as the CEO of the Financial Services Regulatory Authority. He is responsible for the development and administration of the financial services regulatory and supervisory framework of ADGM to promote a fair, open and transparent financial market. Mr Teng also oversees the strategic development of financial services offerings and growth of ADGM as an international financial centre. Under his stewardship, ADGM has become the first jurisdiction in the Middle East and Africa region to develop a Fintech Regulatory Laboratory Framework, becoming a hub to support Fintech stakeholders to develop, test and deploy their product and offerings in am controlled environment. Mr Teng is steering the development of a Fintech ecosystem in Abu Dhabi that fosters financial innovations and supports the needs of Fintech players. 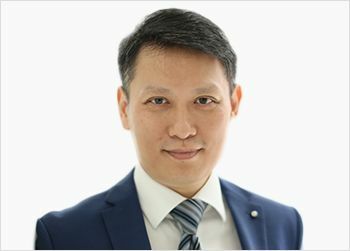 With more than two decades of regulatory leadership and capital markets experience in the financial industry, Mr Teng joined ADGM from the Singapore Exchange (“SGX”), where he was the Chief Regulatory Officer. He also held several senior appointments at SGX including Senior Vice President, Head of Issuer Regulation and Chief of Staff for Risk Management and Regulation, and Head of Regulation. Prior to SGX, Mr Teng served as the Director of Corporate Finance Division of the Monetary Authority of Singapore and was in charge of the financial centre development from MAS New York office between 2000 and 2002. Mr Teng holds a Masters (Distinction) in Applied Finance from the University of Western Sydney, Nepean, Australia, and graduated with First Class Honours in Accountancy from the Nanyang Technological University in Singapore.